The first liquors were born in the Middle-Ages by monks in convents and monasteries looking to create substances for medicinal purposes. These early liquors were mysterious and always kept secret from the general public. By the 16th century, liquors reached the royal classes, but the air of mystery surrounding them prevailed. To this day, ancient recipes remain family secrets. Italian liquor is no exception: many of the recipes for Italy’s most popular liquor are hidden like gems. Liquori are Italian alcoholic liquids such as ethyl or brandy which go through a process of maceration (cold mixing) or infusion (heating) with varying herbs, fruits, plants, honey, sugar, caramel and many other ingredients. The sweetness of liquori varies greatly, and this is one characteristic that helps break down each drink into separate categories. Aperitivo: Usually served before or alongside antipasto to stimulate the appetite for the main course. These drinks are typically less sweet than digestivo. Digestivo: A drink served after a meal, containing more alcohol than an aperitivo. digestivo are known to aid in digestion processes. Sweet: These liquori have a decidedly sweet taste and aroma. Examples from the sweet category would be Frangelico, Sambuca, and Amaretto. Semi-sweet: Campari, Cynar, Strega, and Limoncello are popular Italian semi-sweet liquori. These drinks find a middle ground between bitter and sweet. Bitters: Liquori with a decidedly bitter flavor from their infusion with herbs. Some sweetness can be found but they are dominated by bitterness. Many types of Amari are found in this category. Amaro – This barrel-aged, bitter drink is served after meals or with coffee. Each Amaro is unique specific to its manufacturer and their take on the traditional recipe. Variations in herbs, spices, and fruits can alter the flavor significantly. Amaro is served as both a digestif and an aperitif. Fernet Branca and Amaro Braulio are two popular Italian brands of Amaro. Note: Amaro was created by monks for medicinal purposes. Amaretto – dark and sweet almond liquor with ingredients that vary by brand. Almond extract, apricot kernel oil, herbs and botanicals are part of the traditional recipe. Amaretto literally means “little bitter” although it is commonly served as a digestif. Disaronno and Averna are two of the most popular Italian brands. Disaronno is 28% alcohol by volume. Anisette – This relative of Sambuca is very sweet and usually diluted with water before drinking. Anisette has special characteristics; it is known to help coughs and sore throats. The liquor, made with anis, tastes like black licorice. This digestif is typically 25% alcohol by volume. Campari – This Piedmontese apéritif from the 1800’s contains more than sixty ingredients, including rhubarb, ginseng, herbs, bergamot, orange peel, and many more. It is a bright red bitter of 25% alcohol that mixes well with tonic, orange sorbet, white wine, or as part of a Negroni cocktail. Campari can also be served neat or on ice. Cynar – This is a dark brown, bittersweet apéritif with a strong coppery aftertaste. Artichokes are one of the main ingredients of Cynar; thirteen other herbs and plants are also in the mixture of this 16.5% alcohol beverage. Cynar is usually served over ice. Frangelico –With ingredients like hazelnuts, cacao, coffee, vanilla, alcohol, sugar, herbs and extracts it is no wonder why Frangelico mixes perfectly with coffee and espresso. This liquor, known for its bottle — shaped like a Franciscan monk – is made in the town of Canale within the province of Piedmont. Frangelico contains 24% alcohol by volume. Grappa – This liquor, ranging from 37.5% to 60% alcohol, is made from distilling pomace and leftover grape residue from winemaking. Flavor can vary depending on the variety and quality of grape used. Nonino, Brotto, and Jacopo are popular Italian brands of Grappa. If the Grappa is not aged, it will be clear, but aged versions gain a yellow color. Limoncello – Perfect for hot summer months, Limoncello is served ice cold in Italy. It is known for its pronounced lemony zest, which comes from fermenting lemon rinds in alcohol. Sorrento is the most respected Limoncello producing area of Italy. The alcohol content can vary depending on what type of liquor is used. Marsala – This fortified wine is typically served as an apéritif. Marsala is broken down into categories of secco and semisecco, based on sugar content. 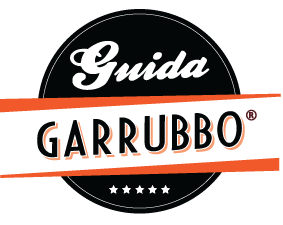 Color variations include ambra (amber), oro (gold), and rubino (ruby red). Marsala also has variations in aging. Fine Marsala is aged for less than one year; Superiore is aged for two years; Superiore Riserva is aged for four years; Vergine e/o Soleras is aged at least five years; and Vergine e/o Soleras Stravecchio e Vergine e/o Soleras Riserva is aged at least ten years. Martini – From one of the largest, most popular brands in all of Italy comes the original Vermouth. Martini comes in variations including rosso (red and sweet), bianco (white and sweet), and extra dry. Sambuca – Distill star anise and you get this 42% alcohol relative of Anisette. Sambuca is usually white in color but can be found in black varieties also. It is commonly served with coffee beans, and arrives to the table on fire. 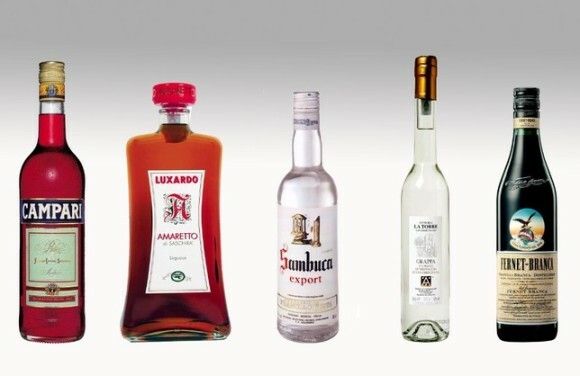 Popular Italian brands include Molinari, Sambuca di Amore, Sambuca Dei Cesari, and Sambuca Ramazzotti. Strega – This yellow digestif (saffron is an ingredient) is 40% alcohol by volume. Over seventy ingredients are present in the complex liqueur from Benevento, Campania, including mint and fennel. Strega literally means “witch.” The drink was named Strega because of alleged witchcraft practice in the town of Benevento at the times of the Lombard invasion. and Italian friend who will be celebrating his 90th birthday in the next couple weeks grew up drinking an Italian aniset that had a stick in the bottle. We are looking for this beverage to gift him for his 90th birthday. Can you assist? Do you know of an Anise extract that is used by instilling a few drops to water, especially in the summertime? It is popular in the region of Sicily, especially Palermo. Have you heard of it? When it hits the water is turns the water cloudy. My father grew up there and remembers it being very popular. Are you sure it was anise flavored? What you are describing to me sounds more like orzata. It looks exactly as you described, but it is almond flavored. https://www.cento.com/recipes/drinks_and_cocktails/ferrara_orzata_italian_soda.php. We usually make with plain water instead of seltzer.